Ombrages is a lighting engineering firm that specializes in lighting design with offices across Canada. Their new website uses a complete custom and responsive WordPress theme, featuring a back-end developed exclusively for their needs. You can see details of some sections below. 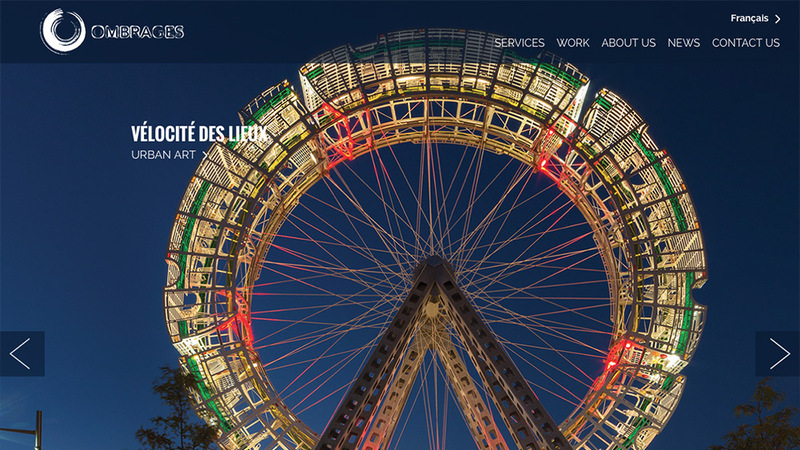 One of the main requests of the client was to create a website that would put their projects in the foreground as they have great pictures to show them. Also, as Ombrages has offices in Quebec and the rest of Canada, it was really important for them to have a multilingual website. 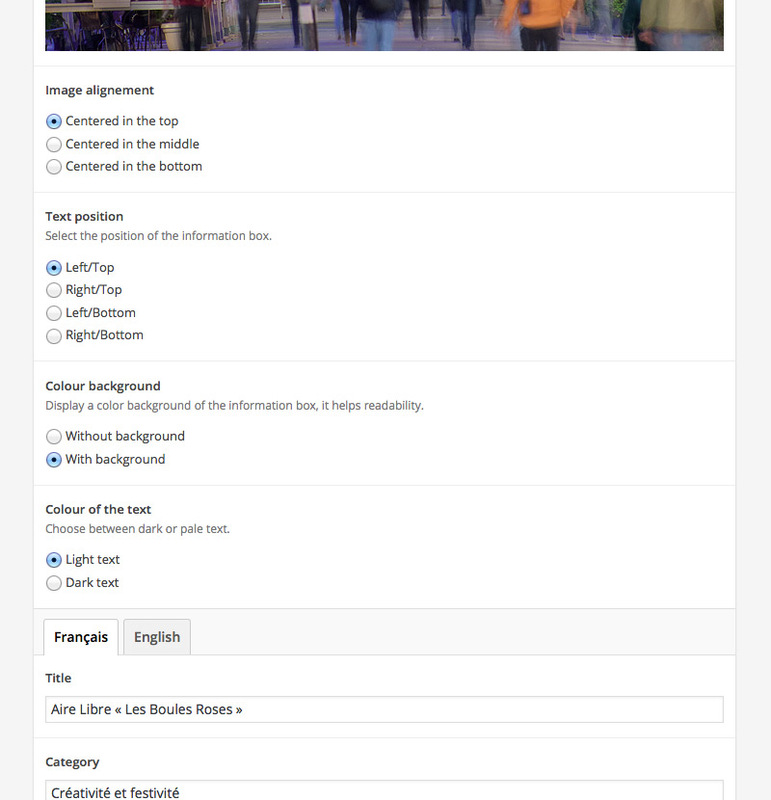 The homepage slider module let the administrators add as many images as they want but also, add a text box with many options because depending on the picture, the text box might be aligned a different way to not hide any important parts. 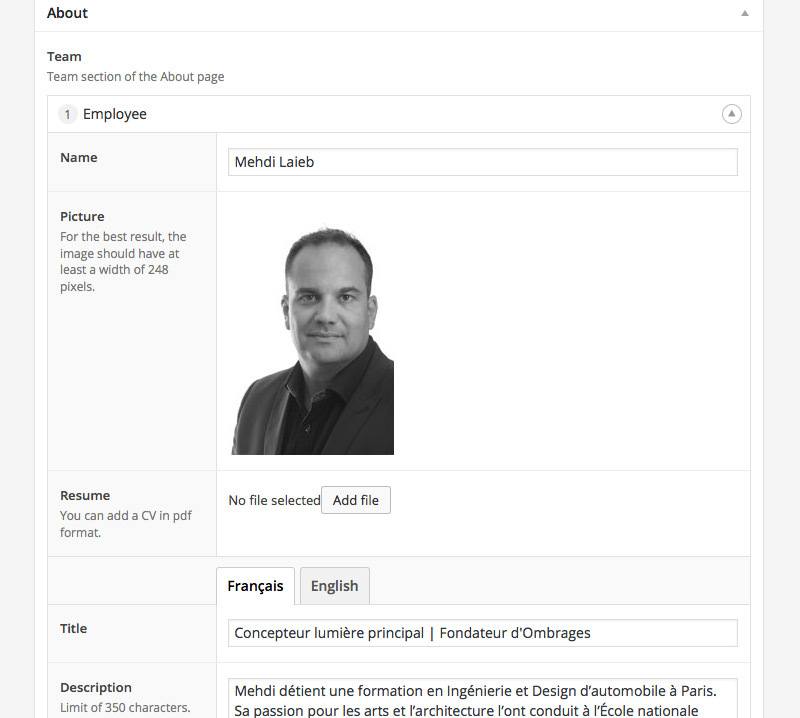 The team module is an easy and quick way to add employees to the About Us page, by controlling the format of every field, the content always shows correctly on the front-end. 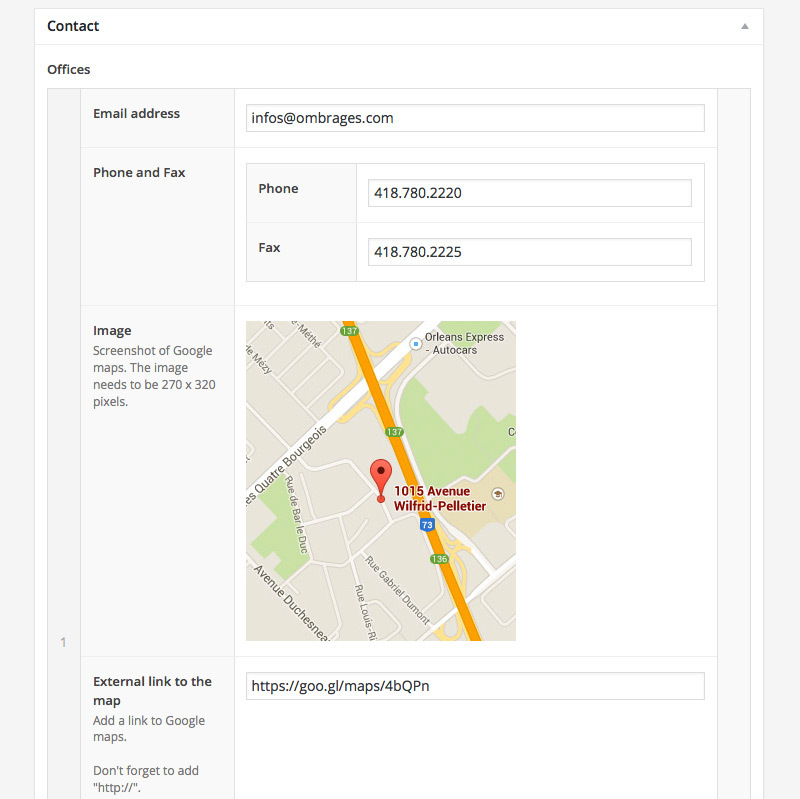 With the Offices module, the administrators can add, modify or remove easily offices. The website is currently available in French, English, and Chinese with an Arabic version coming in the next months. A custom module was developed to easily translate any text on the website.